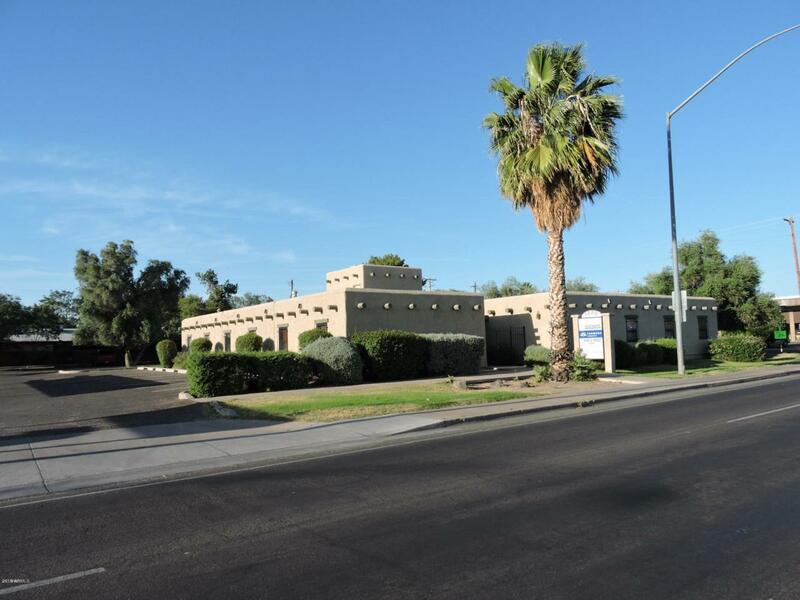 Large classroom space can be used for office or classes.Nice Professional Business office located in attractive single level building with a central courtyard and fountain on corner lot. Covered and uncovered parking. Monument sign. Great convenient location. Close to US 60 Freeway. High visibility and traffic count.